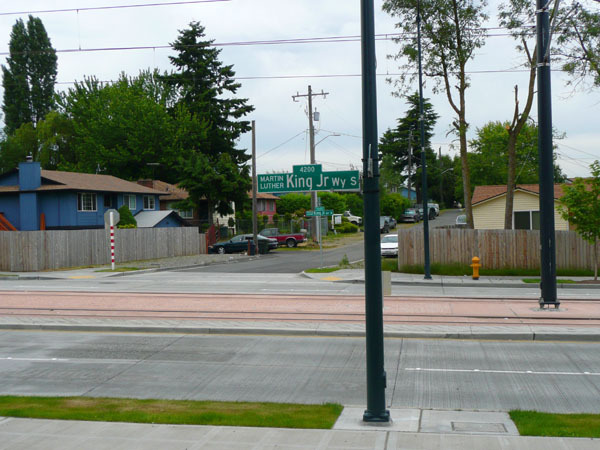 Looking south along MLK Way near Cloverdale St, the new light rail line seems disappear off into the boondocks — not a scene many would readily identify as urban. This is about seven blocks south of the station at Othello. This ain’t no North Capitol Hill. 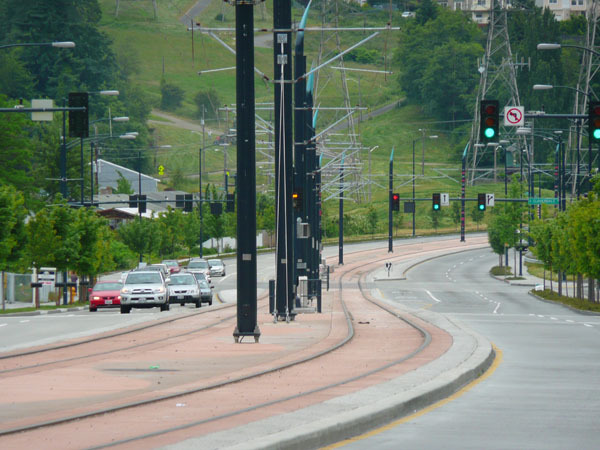 Imagine one of those sleek white Sound Transit trains quietly zipping by in this picture. Chimerical. 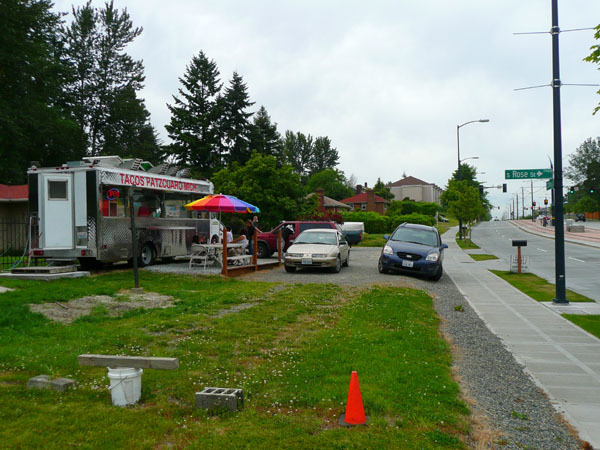 Will a taco bus parked on someone’s front lawn still have a place in the future landscape of the MLK light rail corridor? 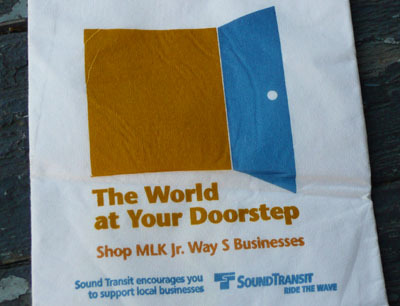 I hope so, but of course this is exactly the kind of unique and colorful business that tends to be driven away when neighborhoods redevelop and become more wealthy. Posted by dan bertolet on	Friday, October 3rd, 2008 at 11:28 pm. You can follow any responses to this entry through the RSS 2.0 feed. You can leave a response, or trackback from your own site. Welcome to the neighborhood. I often drive down this street. That taco truck is sitting on its owner’s front yard. I read that Maria bought the truck in California and drove it up here. She and her family are Salvadorans which is great because, in addition to typical taco truck fare, she serves pupusas. Word of warning: pupusas take about 15 to 20 minutes to prepare, so be prepared for a wait.